Those arriving at North Station by Commuter rail can access the tunnel by heading toward the Legends Way stairs inside TD Garden. 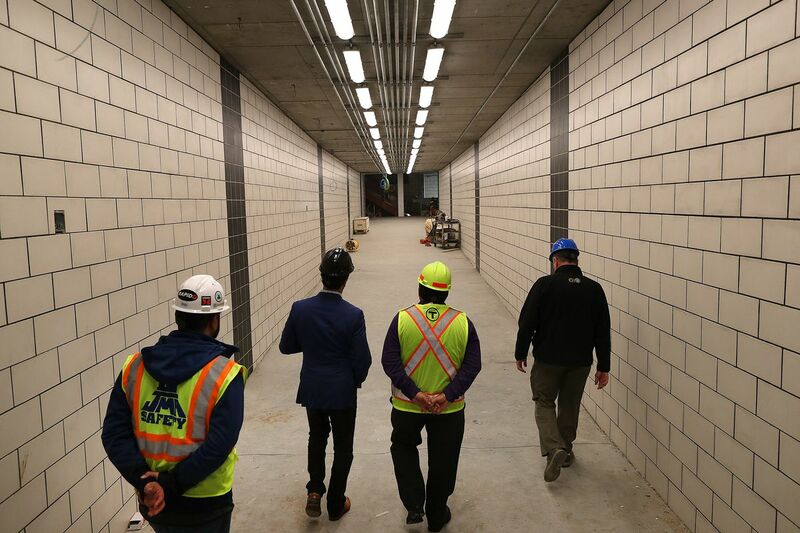 The tunnel comes at the perfect time to ensure that pedestrians won't have to endure rain and snow during the winter months. Further, the 50,000 daily commuters won't have to cross the traffic on Causeway Street to get from the Subway to the Commuter Rail. The tunnel is situated between the Orange and Green line tunnels, and surfaces inside the station lobby at one end, and the T station across Causeway at the other. Elevators and an escalator will be accessible for riders. The 1.87 million square-foot Hub on Causeway complex is officially ranked as Boston's largest mixed-use project. 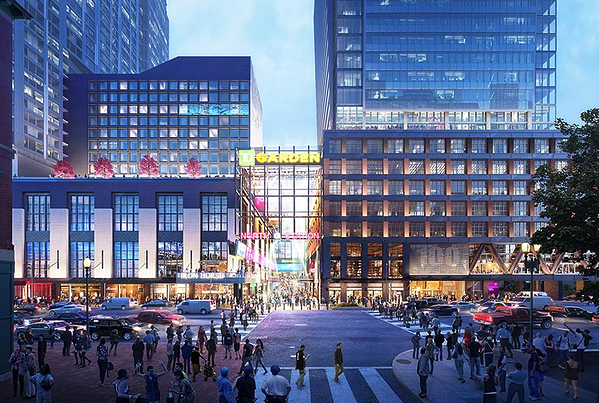 Phase One is nearing completion with the construction of 210,000 square-feet of multi-level retail/restaurant space, 175,000 square-feet of office space, 64,000 square-feet of expanded TD Garden space, 10,000 square-feet of outdoor space connecting TD Garden and North Station, and 540 underground parking spaces. Phase Two will comprise a 38-story residential tower with approximately 440 units and a 10-story hotel tower with 260 rooms. While there is not yet an expected completion date for Phase Two, progress has already begun with installation of the tower's glass facade. Be the first to be notified as Hub on Causeway residences come on the market! Sign up for a Property Alert at BostonRealEstate.com.